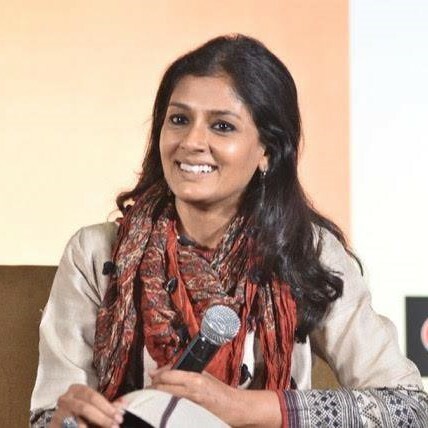 Nandita Das discusses her upcoming film 'Manto' and why the writer continues to be relevant in our time. You’ve said that you wanted to make a film on Manto for around ten years but felt “overwhelmed by the large canvas” and were unsure whether you had “the depth and range of experiences” to portray a man like him. When did you feel ready? Well, it was more about feeling emotionally and creatively equipped to handle a subject that is so vast and layered. Earlier, I wanted to make a film on Manto’s stories. But it was only in 2012, when a lot was written about him and his essays got published in translation, that I decided to make a film about his life. And the more I read and researched, the more sure I was of the relevance of Manto in our times. I don’t think I ‘chose’ to make the film. I felt compelled to tell the story. But how difficult it was going to be, was revealed rather slowly! But by then there was no turning back. I had mounted the tiger! How did you start researching on the film – who and what were your primary sources? The whole process of researching and writing was time consuming and hectic but that’s what formed the backbone of the film. I read Manto quite extensively and also read about Manto quite extensively. But given how prolific he was – he wrote short stories, essays, radio plays, sketches – and how much has been written about him, it was not possible to be fully exhaustive. I feel fortunate that I had the opportunity to speak at length with his daughters and his grandniece, the eminent historian Ayesha Jalal. Ayesha’s book Pity of Partition – Manto’s Life, Times, and Work Across the India-Pakistan Divide and the one she wrote on Manto’s centenary along with Manto’s youngest daughter, Nusrat Jalal, were some of the first gifts I got from the family. Manto died young, at 42, so very few are living who had actually met him. There were, however, two people who did: one is his sister-in-law, who also features in the film, Zakia Jalal, and the other was Intizar Hussain, a well-known Pakistani writer, who passed away recently. The time spent with these two people and Manto’s daughters allowed me to understand Manto beyond his writings. Through the process of this film, I got close to them. Manto, the husband, the father, the friend – these relationships I could only understand through the important nuggets these individuals shared with me, which no book would have been able to give me. It took four long years of research, many books and people’s inputs, several drafts of the script, for me to tell this story. You wrote Manto keeping Nawazuddin Siddiqui in mind. What about him – or his previous characters – reminded you of Manto? Firaaq (2008) was my directorial debut and Nawaz’s first film where he played a significant character – that is where our association began. I saw his short film Short Cut, and immediately decided to cast him in Firaaq. But I always had him in mind while writing Manto. They say if you get the casting right, 70% of your job is done and with Nawazuddin that’s exactly what happened. He looks and feels the part. He has an incredible range as an actor, but intrinsically Manto lies somewhere in his eyes – it was an obvious choice for me. Nawaz also has many traits that are similar to Manto – a deep sensitivity and intensity, vulnerability and a dry sense of humour. These innate qualities in Nawaz helped him transition into Manto on screen quite effortlessly. Not much of his previous work is Manto-like! But you can see the actor’s range and depth and that is enough to know that he can pull it off. A fair amount has been written on Manto the writer and Manto the man. Did the research and the filming process reveal facets of his personality you had little idea about? Are we going to see him interpreted in an entirely new light? Through my research, I discovered many things about Manto, especially those that his family shared. How he was at home, with the women in this life was particularly interesting. He was surrounded by women he loved and cared for – his mother, sister, wife and three daughters. He ironed his wife’s sari, made pickle, fed his children, read out his stories to his wife and sister. He was a hands-on father and that was rare for those times. A rarity for South Asian men even today! One seldom encounters men who defy norms and question the morality of society and at the same time are “family men”. I think the contradictions he had were fascinating and new to me. Biopics often run the risk of falling into a template and often, smoothing the edges of real-life figures. Was that a concern for you – were there any other pitfalls that you consciously wanted to avoid? When I began work on the film, in my mind it wasn’t a biopic. While it was based on a real person and I wanted to be as authentic as possible, for me it was a film about today. Also, I never wanted to make a cradle to grave biography and at that time, when I started working on it, biopics were not the fIavour of the season. The fact I have never assisted anyone, not gone to a film school and watch so few films, freed me of the grammar of filmmaking, let alone of biopics. And the trope of making heroic characters is not where I ever saw Manto going. He was unsparing of everyone, including himself. He would have liked me to portray him with all his warts and blemishes and not put him on a pedestal. I have tried to show him as honestly as he shows his characters and if that makes him complex and at times not-so-likeable, then so be it. In fact, for me it is a way of questioning our own morality, our righteousness that at times refuses to see the essence of things. In short, I wasn’t consciously ‘avoiding’ anything. The script organically and authentically portrays Manto in the way I understand him. 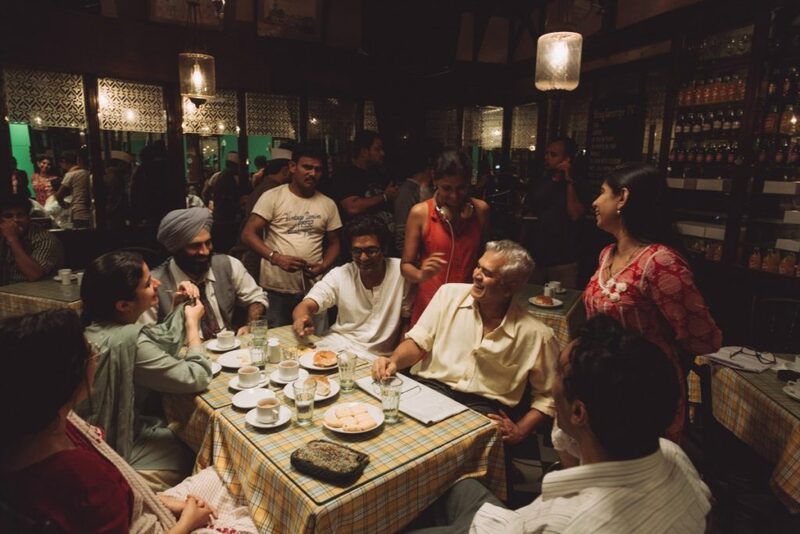 What was the most challenging part about making Manto? Was it difficult to create the ambience, the language, the look of those times? One of the toughest challenges was to find the right locations for Bombay and Lahore of the 1940s amidst modern-day clutter on a budget that didn’t allow the luxury of too many sets and visual effects. And sadly, we couldn’t shoot in Lahore, as initially planned, because of the political tensions. So, we had to find Lahore in India. Thankfully we did and that’s a whole different story. In the early phase, it was very challenging to write the script. Manto wrote exclusively in Urdu. I didn’t grow up in an Urdu-speaking background. And the language I grew up with was Hindustani – an amalgamation of Hindi and Urdu, which most people in Delhi speak. So, for the first couple of drafts of the script I had Mir Ali Hussain (a script consultant), who would read to me the writings that were neither translated nor available in Devanagari. I also sought help on the Urdu dialogues from many other people both in Mumbai and Lahore. My own Urdu has improved exponentially thanks to all the reading I have had to do. In any case, I wanted to keep the language neither too difficult, so as not to alienate audiences, nor did I want to make it too simplistic, which would not be authentic to the period and the people who spoke it. It was challenging to strike that fine balance, but in the end, I think we managed. Like I said earlier, I am not a trained filmmaker and neither have I really been in the industry, so I have relied on my creative instincts and life experiences to make both my films. 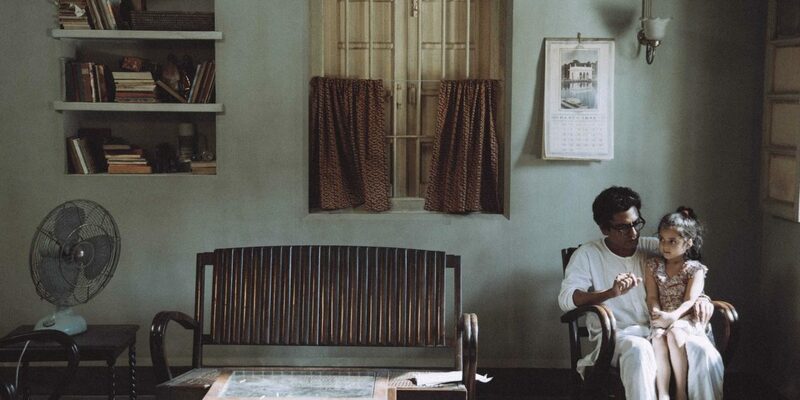 Manto, being a bigger project both in scale and cast than Firaaq, made it a much more challenging film to make. Putting the funding together, finding locations, managing a large cast and crew – all of it took the life out of me. Also, being a hands-on mother had its challenges as my child was with me throughout the journey of making the film, including on set. You have said somewhere that the film could not be registered/classified as an ‘Urdu’ film because that would make it a regional film. Is there a serious anomaly in how films are looked at officially considering Hindustani is more or less the lingua franca of Hindi cinema for decades? I think so. In fact, most films that we have been calling Hindi films are actually Hindustani films. But we never popularised this term, as maybe purists wanted to keep Hindi and Urdu further away than they really are. Manto actually addressed this question in an essay called ‘Hindi aur Urdu’. His submission is that they are two ends of the same thread. And today the language we speak, especially in Delhi and other parts of the North, is Hindustani, which falls in the middle. I insisted on including Urdu and not to keep it just Hindi. You obviously would like all sections of society to see the film, but will a younger audience relate to him and to the subject and will they walk away with something to think about? Manto’s story will resonate with younger audiences as it remains very relevant to the times and struggles that they too face. I think they will connect to the story because in the end, it is a human story of struggle and courage and the will to speak out and be your own self – something we all struggled with in our youth (and beyond, for that matter). For me, the one thing I really want this film to do is to invoke the Mantoiyat (‘Mantoness’) that I want to believe exists inside all of us – the ability to be free-spirited and honest and the desire to speak up. I hope watching Manto will make audiences think and inspire them to invoke their own Mantoiyat, however dormant or awakened it may be. After all, don’t we want to be more truthful, courageous, empathetic and free-spirited? Manto stood for everything that we, as a country, have been vociferously debating in recent times: freedom of speech and expression, notions of ‘obscenity’, the tussle between an individual and the establishment. Did the current political environment play a part in you making a film on him? Direction and filmmaking, for me, has not been part of any design but more a means to respond to what goes on around me. Manto and Firaaq as well, provided me with a language to respond to what was of deep concern. So yes, the social, cultural and political climate in the country did inform my reasons for making this film. Manto was relevant in his time and will continue to be relevant for a long time to come. While much has changed we still have ‘miles to go before we sleep’. More than 70 years after Independence, our identities are far too often linked to caste, class, nationality and religion, as opposed to the universality of human experience. Manto’s works held up a mirror to the society of his time that showed its fears, contradictions and prejudices and the reflection has not changed much today. How would a man like him fit in with these times? Men like him don’t fit in any time. And that is why they help is to push the boundaries. They become the social conscience of the society, showing us the mirror to even our ugly side. But precisely for this reason, they are also needed to make the society more mature and sensitive to others. He would have had many things to say about today and would have been behind bars by now.